I am interested in how the nervous system controls movement and how sensory information from our environment is processed by the nervous system, particularly in the spinal cord and brain stem. In the motor system we study how motor neurons, the large cells in the spinal cord that control our muscles, regulate their activity and how they respond to inputs from other nerve cells. We also study how nerve cells in the brain and spinal cord communicate with each other, or synaptic transmission, which is driven by glycine & GABAA receptors. Many drugs act on these receptors to essentially reduce 'excitability' in nerve cell pathways, for example drugs that control spasticity after spinal cord injury, pain, and epilepsy. For our sensory systems, we are interested in how signals that relate to the sensation of pain, touch and balance are processed in the spinal cord and brainstem under normal and pathological conditions (eg, chronic pain and spinal cord injury). We study sensory information processing in the spinal cord because it is the first region in the central nervous system where signals can be modified by the action of drugs before they reach the brain. I had very inspiring teacher during my undergraduate education. I subsequently studied with her in the United States and became an academic and researcher. Ultimately we hope to understand the factors that control nerve cell excitability and communication between nerve cells so they can be manipulated by therapies that treat nervous system diseases and improve recovery from injury, including spinal cord injury and stroke. 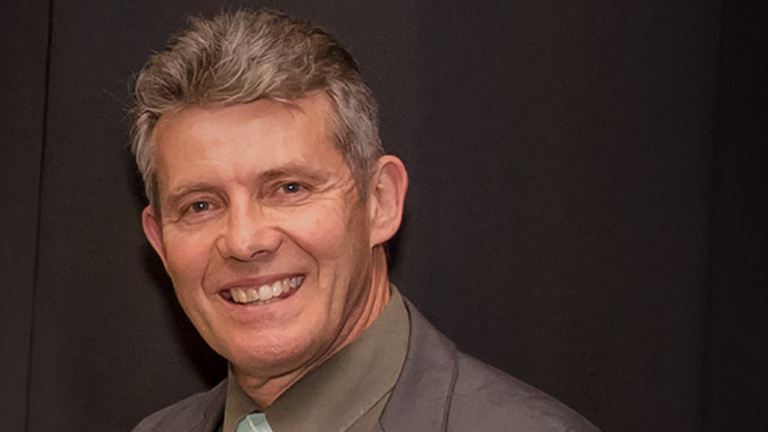 Professor Robert Callister is an established researcher in the HMRI Brain and Mental Health program and an academic within the University of Newcastle. He has held several key teaching and administrative positions including head of anatomy, executive committee memberships, and teaching of Medicine, Biomedical Science, Speech Therapy, Physiotherapy and Medical Radiation students. He is currently Deputy Pro Vice Chancellor (Research) for the Faculty of Health and Medicine. Since completing his PhD in zoology and biological sciences (neurobiology) in 1990 at the University of Ohio, Professor Callister has undertaken successful postdoctoral positions at the University of Arizona and then the University of Newcastle, before accepting an academic appointment, which he still holds today. Professor Callister’s research interests are focused around how nerve cells regulate their excitability and how they talk to each other (called synaptic transmission) in the pathways which relay sensory information about what we touch, how we feel pain and our sense of balance to our spinal cord and brain. Altered excitability and communication between nerve cells occurs in both brain injury and many diseases of the nervous system. Some examples include chronic pain, epilepsy, spasticity, stroke, dizziness, dementia, and Parkinson’s disease. Professor Callister uses specialised techniques to measure nerve cell excitability and synaptic transmission. Ultimately he hopes to understand the factors that control nerve cell excitability and communication so they can be manipulated by therapies and treat disease. Professor Callister has published more than 80 peer-reviewed research publications and has presented at many prestigious national and international conferences.